Suicide bomber hits Borno IDPs camp, 3 feared dead – Royal Times of Nigeria. 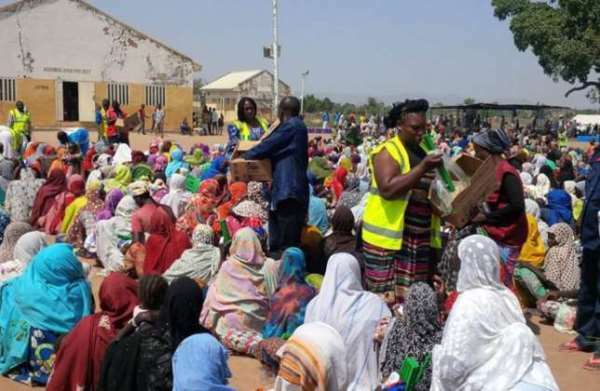 The National Emergency Management Agency has confirmed the death of three persons in a suicide attack at the Dalori Internally Displaced Person’s camp in Maiduguri on Sunday night. The News Agency of Nigeria (NAN) reports that the NEMA Northeast Zonal Information Officer, Mr Abdulkadir Ibrahim, confirmed this on Monday, adding that 15 other persons were injured in the incidence. A competent security source told NAN that a female suicide bomber was shot by security men, when she tried to cross the perimeter fence at the camp. The source added that another male suicide bomber infiltrated into the camp and detonated the explosives strapped to his body and killed four persons. “Two persons died on the spot while two others died at the hospital,” the source said.